SPOILER ALERT: Continue reading for spoilers from Week 5’s Endurance Head of Household Competition and watch it live on the Big Brother 12 live feeds. 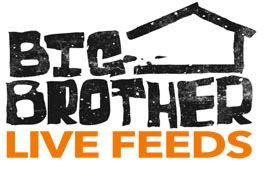 After the live episode, be sure to turn on your Big Brother live feeds to watch the houseguests 24/7! Also, be sure to follow @wlbb on Twitter for the most up-to-date Big Brother news throughout the season. WATCH THE ENDURANCE HOH COMPETITION LIVE! You can watch the HOH Competition in real-time on the 24/7 live feeds. Make sure you sign up for the 3-day free trial of the live feeds so you can be the first to see who wins the Endurance competition. Turn on your live feeds and watch it play out live with a 3-day free trial. Matt won the Endurance HOH Competition. Ragan jumped off to give the HOH to Matt. Ragan, Britney, Lane, Hayden, Kathy, Brendon, and Enzo are no longer in the competition. The houseguests are spinning on a giant paint bucket. The last one remaining wins HOH and can change the game by opening Pandora’s Box. If you don’t already have the live feeds, we encourage you to sign up for your 3-day free trial to watch the competition play out live! Endurance HOH competitions usually last several hours. By a vote of 6 to 1, Kristen was evicted from the Big Brother 12 house. (SPOILER) Week 1: Power of Veto Competition Results!